Routing is very fundamental to the implementation of any networking or communications infrastructure. 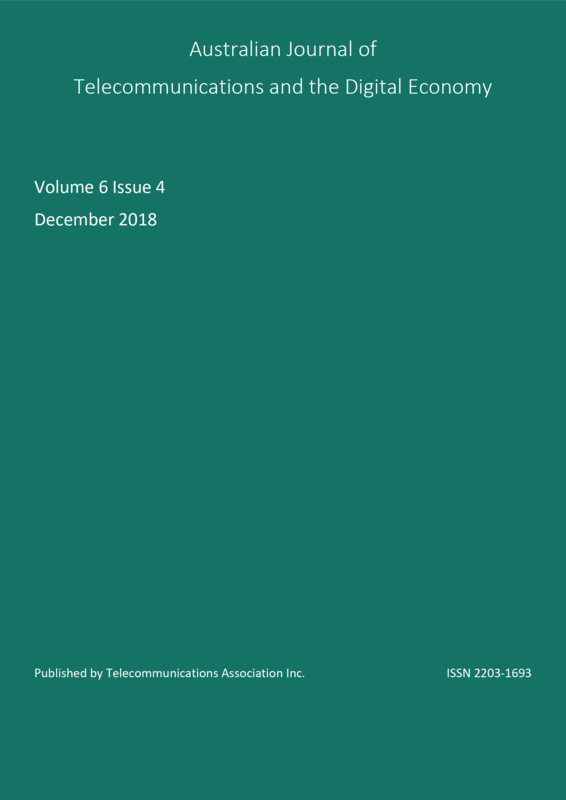 This paper, therefore, examines the conflicts and relevant considerations for implementing autonomous or self-organising unmanned aerial vehicles (UAVs) for communications area coverage, with particular emphasis on the impact of aerial vehicle autonomy algorithms on routing techniques for such networks. UAV networks can be deployed either as ad-hoc or infrastructure-based solutions. The mobility of UAVs introduces periodic topology changes, impacting link availability and routing paths. This work examines the implications of autonomous coordination of multiple UAVs on routing techniques and network architecture stability. The paper proposes a solution where routing techniques and UAV autonomy algorithms are integrated for improved global network efficiency for both ad-hoc and infrastructure-based scenarios. Integrating UAV autonomy algorithms with routing schemes may be an efficient method to mitigate link/topology stability issues and improve inter-UAV communication and network throughput, a key requirement for UAV networks. The implementation of inter-UAV links using optical, microwave or mmWave transmission is examined in the context of this work. The proposed integration may be crucial for communications coverage, where UAVs provide communications area coverage of a community of mobile or fixed users in either ad-hoc or infrastructure-based modes. Aadil, F; Raza, A; Khan, MF; Maqsood, M; Mehmood, I; Rho, S. 2018. ‘Energy Aware Cluster-Based Routing in Flying Ad-Hoc Networks’. Sensors, 18, 1413. MDPI. http://dx.doi.org/10.3390/s18051413. Anicho, O; Charlesworth, PB; Baicher, GS; Nagar, A. 2018a. ‘Autonomous Unmanned Solar Powered HAPS: Impact of Latitudes and Seasons on Power and Communications Coverage’. IEEE COMNETSAT, Medan, Indonesia, November. Anicho, O; Charlesworth, PB; Baicher, GS; Nagar, A. 2018b. ‘Integrating Routing Schemes and Platform Autonomy Algorithms for UAV Ad-hoc & Infrastructure Based Networks’. 28th International Telecommunications Networks and Applications Conference (ITNAC), Sydney, Australia, November. Aviv, DG. 2006. Laser Space Communications. Artech House Inc.
Fidler, F; Knapek, M; Horwath, J; Leeb, WR. 2010. Optical Communications for High-Altitude Platforms. IEEE Journal of Selected Topics in Quantum Electronics, vol. 16, issue 5, Sep-Oct, pp. 1058-1070. https://ieeexplore.ieee.org/abstract/document/5464268 . Henniger, H; Wilfert, O. 2010. ‘An Introduction to Free-space Optical Communications’. RadioEngineering, vol. 19, no. 2, pp. 203-212. Jiang, J; Han, G. 2018. ‘Routing Protocols for Unmanned Aerial Vehicles’. IEEE Communications Magazine, vol. 56, issue 1, pp. 58-63. Zettl, K; Muhammad, SS; Chlestil, C; Leitgeb, E; Friedl, A; Schmitt, NP; Rehm, W. 2007. ‘High bit rate optical wireless systems for swarm unmanned aerial vehicles: a feasibility study’. The Mediterranean Journal of Computers and Networks, vol. 3, no. 4, pp. 142-150. Zheng, Z; Sangaiah, AK; Wang, T. 2018. ‘Adaptive Communication Protocols in Flying Ad Hoc Network’. IEEE Communications Magazine, vol. 56, issue 1, pp. 136-142. Anicho is currently carrying out a PhD Research on implementing autonomous High Altitude Platform Stations (HAPS), as a communications infrastructure focusing on the problem of coordinating multiple self-organising HAPS platforms for communications area coverage. He earlier completed an MSc. Degree with Distinction in Telecommunications with Management from the University of Wales, Newport (now University of South Wales) United Kingdom. His MSc. dissertation investigated Implementing Satellite Communications On-The-Move (SOTM) technology at Ka band analysing uplink Interference and mitigation techniques. Dr. Charlesworth is a Chartered Engineer with 38 years experience in communications systems engineering. This includes 16 years as an engineering officer in the Royal Air Force in both command and staff appointments. For 20 years I worked in the defence industry as a solutions architect for large and complex communications networks. In September 2010 I transferred to the research division of EADS, Innovation Works. My research activity centred on the development of concepts and technologies for UAV communications, including solar-powered UAVs. He is currently supporting STEM activities in schools, and supervising university research as a Visiting Professor at Liverpool Hope University. Dr. Baicher is an experienced Senior Research Fellow with a demonstrated history of working in the higher education industry. Skilled in E-Learning, Lecturing, Curriculum Development, Research, and Management. Strong research professional with a Doctor of Philosophy (PhD) focused in Optimal design of Digital and Multirate filters using genetic algorithms from University of Wales. He is currently a Visiting Professor at Liverpool Hope University. Prof Nagar is a Professor of Mathematical Sciences at Liverpool Hope University and the Dean of Faculty of Science. He has been the Head of Department of Mathematics and Computer Science at Liverpool Hope since January 2008. A mathematician by training, with multi-disciplinary expertise in Nonlinear Mathematics, Natural Computing, Bio-Mathematics and Computational Biology, Operations Research, and Control Systems Engineering.